On Sale Now! Save 8% on the Bluetooth Tracker, Bluetooth keys Tracker, Bari Key Finder Tracking Wallet Key Bag Pet Dog Tracer Locator Alarm Patch GPS Locator for iOS/iPhone/iPod/iPad/Android by Bari at iShare Maps. MPN: XMS1023. Hurry! Limited time offer. Offer valid only while supplies last. About Us Bari bluetooth tracker Leave you away from unnecessary troubles,like losing keys, pets, phones, wallets, bags, luggage, kids and so on! Bari bluetooth tracker Leave you away from unnecessary troubles,like losing keys, pets, phones, wallets, bags, luggage, kids and so on! Small Thin & Lightweight >>>> The compact size makes it easy to fits into your keys, wallets, luggage, purses, backpacks, cameras, kids toys, and more. Track & Locate Lost Items >>>> This 2-way tracking system attaches to personal items and uses Bluetooth 4.0 technology so you never lose track of valuables. Real-time Notification >>>> A two-way system that lets you track lost items or be notified when they are out of range with a ring, vibrate or flash. 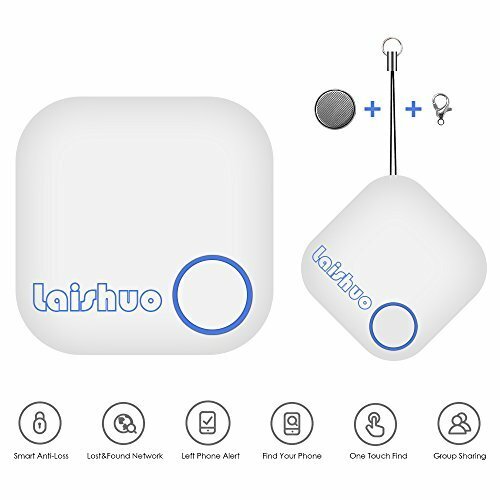 Find Anything in Second >>>> Attach this Bluetooth tracker to anything we always forget and Keep track of them.-Taking Pictures Remotely - Control your Smartphone camera from distances of up to 49.2' (15M) in optimal conditions.